Avoid this feeling by planning out each week the same way you do during the productive parts of the year. Even if you’re scheduling downtime, it’s good to sit down and map out a plan before military life starts to feel too chaotic. At the beginning of each new week, I sit down on Sunday nights, look at the days ahead, and think about what I will do for exercise, for work, and for family time. While these activities are tweaked during the summer compared to how they look during the school year, I need to map them out just the same. If I don’t, I find myself running around after the kids and getting cranky about not fitting in my workout, writing time, or a date night and starting to feel like I’m drowning in laundry quicksand. When mapping out your weekly plan for the intense summer months, use whatever works for you—whether it’s a schedule on your smartphone, a wall calendar, or a paper planner like mine. The bottom line is that if you don’t plan things out, the summer will take control of you instead of you taking control of the summer. Planning things out ahead of time makes it much easier to enjoy the “days off” purposefully. While scheduling leisure time may seem counter-intuitive, it’s essential to make sure that fun actually makes it into the plan. Follow my additional tips below to help make this summer one to remember. Effective summer planning means planning activities and planning for downtime, tech-free time, and me time. All kids are going to benefit from downtime, but military families on the go with so much change and ongoing stress really need that time to process their emotions and unwind and connect with mom (and dad when he’s home) and their siblings and community. This is also important for adults. I saw a seminar on screen time given by a professional psychologist and when a parent asked how to get their teenager to stop going off to their room and texting for hours, the presenter said, “Put your own phone in a basket in the kitchen at 7pm and stop in their room for a goodnight chat and I bet in a week or two you’ll see a big difference in their behavior.” This was an eye-opening tip for all of us, and a lesson in practicing what you preach—how many of us are glued to our phones 24/7? We have a “no Fortnite” (video game) rule during the school week that’s sometimes hard to follow. Once dinner is picked up, sports are over, and homework is done comes the, “but mommy, pleaaaasssee?” As I’m about to cave, I say firmly, “No Lucas, it’s a neighborhood rule.” I’m secretly imagining all the laundry and writing I could get done if I just let him play. But what I see happen after my “no” and his protests of “but I’m bored” is magical. I said no to him as I was writing this blog and about 10 minutes afterwards, he and my younger daughter Sierra started building a fort with a blanket in the living room right next to my laptop. Sure, they’re a bit distracting while I blog but I also hear laughter and imagination at work—and that’s really cool. I’m reminded that what seems easier at first isn’t always what’s best for them, and I know that an electronics-free night playing a family board game or building an impromptu fort is just what the doctor ordered. I’m working on thinking of some creative summer rules that ensure we all get some tech-free time. In our home, we’re great at “no tv, no video games” during the school week, but I struggle with establishing reasonable summer rules. What suggestions do you have regarding keeping screen time at bay when the summer months arrive? Please share your tips with me in the comments below. As military spouses, we often don’t live close to extended family and rarely get the opportunity to travel. Since the holidays are an expensive time to travel, the summer might be the perfect opportunity to take that road trip to see family. Or perhaps you can invite family to come visit you. One military spouse said that summer was a great time to book a road trip with a girlfriend and their kids. If visiting family is too expensive, is there a family summer ritual that could be fun? Facetiming grandma on Sunday nights? Sending artwork the kids make to grandpa in a nursing home? Try to find opportunities to treat family moments in a way that gives everyone involved something to look forward to. Think about tying in a few things that would be fun, perhaps seeing a baseball game and visiting an uncle and aunt. Things like that can get put on the calendar and give everyone something to look forward to. We’ve taken bigger trips as a family, but we don’t do this every summer—it’s about figuring out what’s realistic for your budget so that you don’t get to the end of the summer and feel like it’s the day after Christmas. Try to plan out what you want to do over the months the kids are home, stick to the budget, and spend consciously. This summer we decided to celebrate my youngest daughter’s birthday with concert tickets instead of hosting a big party for her. We all watch American Idol as a family, so I got tickets to an American Idol concert for a fun family activity. That way, we can all look forward to surprising her with the tickets and a night out in Boston after the concert. If you follow me on social media, I’ll be sure to get a photo of Sierra’s face when she sees Gaby, her favorite American idol contestant, singing for her live! Splurging on a fun family activity can be worth it since you’re creating family memories that will last a long time. Think about something your family enjoys as much as we enjoy our family TV night and plan something that’s meaningful to you. Do you have a favorite sport, a city that you would all love taking a road trip to, or a park or museum in your hometown that you haven’t gone to yet? What can you put on that summer calendar that will have you motivated and excited before, during, and after? 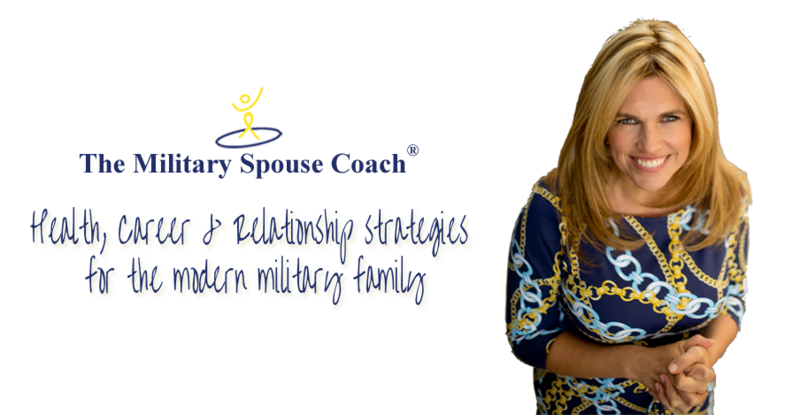 Plan it out and share in the comments if you have some ideas that other military spouse families may enjoy. Military Spouses Need ME TIME! Family time is fabulous, but you also need some me time. Me time for military spouses isn’t a luxury, it’s a necessity. I remember when my kids were little and I couldn’t afford a babysitter as much as I wanted, so sometimes “me time” was literally a long bath after I got the fourth baby in bed. I would buy a trashy magazine, light a candle, pour a seltzer over crushed ice, and let myself have a much needed moment to myself. This is so important for our mental health. With the kids home from school, whether you work or not, the vibe around your home is bound to change during the summer months. And as nice as it is to have the kids home, there’s less quiet time for you, so make sure to plan for that. As a busy military spouse, how are you going to commit to daily me time to keep your sanity? This time for yourself doesn’t have to be expensive, it could be something as easy as committing to a daily facial regimen. Or renting a funny movie and popping some popcorn. It could even involve stretching, meditation, or just a walk around the neighborhood. For me, there’s nothing like waking up a few minutes before the kiddos, sipping my tea, and opening up my journal to reflect on my gratitude and listen to the birds chirping. Julia Cameron, author of the seminal text on nurturing creativity, The Artist’s Way, reminds me to pay attention to the beauty of the world that constantly surrounds me. I take a moment to recognize this pleasant reality each morning by writing in my journal, regularly going on artist dates either alone or with my children, and just consciously paying more attention to the positive details of life and focusing on the things you want to truly attract into your life. How do you make time for yourself in the midst of the chaos of military life? Share your “me time” hacks in the comments below. 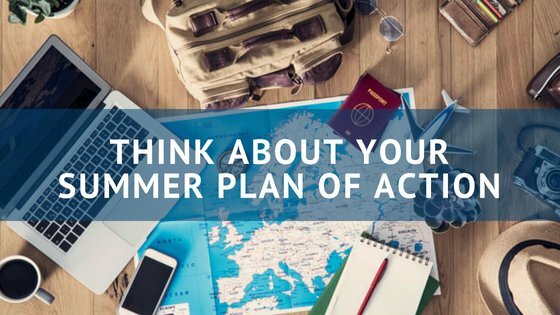 Share the post "Think About Your Summer Plan of Action"